The African Union on Saturday called a statement by Gambia's President Yahya Jammeh rejecting his loss in December 1 polls "null and void" since he had already conceded defeat. 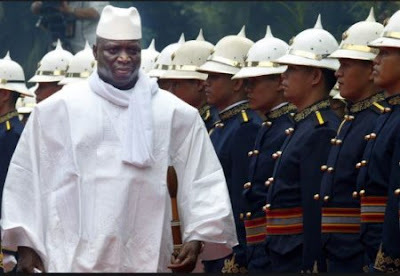 "The Chairperson of the Commission strongly urges President Yahya Jammeh to facilitate a peaceful and orderly transition and transfer of power," said Nkosazana Dlamini-Zuma who also called on Gambia's security forces to remain neutral. Gambian leader Yahya Jammeh had on Friday night rejected the result of the presidential election held earlier this month, a week after admitting defeat. Mr Jammeh cited "abnormalities" in the vote and called for fresh elections.